Engine 5-16-3 - 2010 Pierce Velocity 1500 gpm/750 gal. 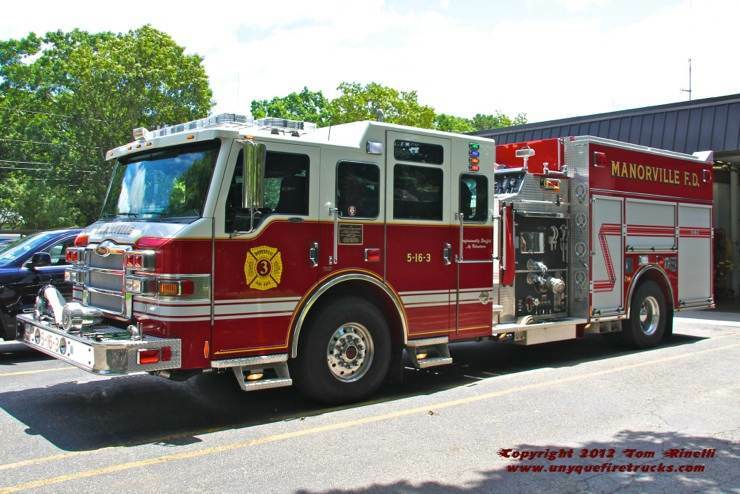 A twin to Engine 7, it is equipped with a Hurst combi tool to operate as a rescue engine. 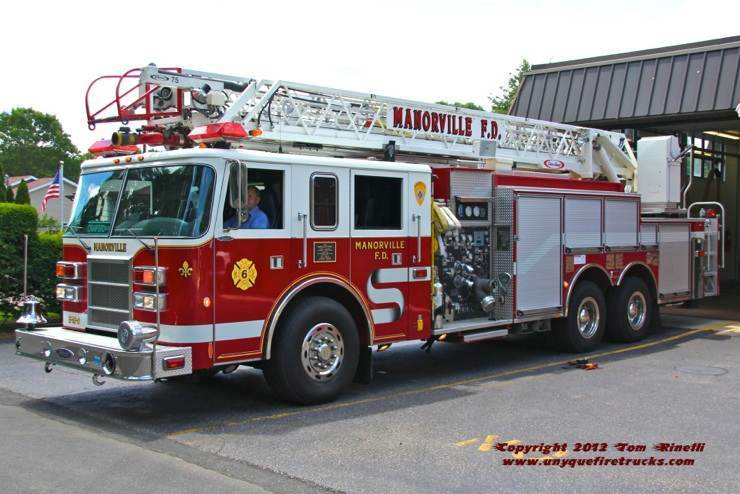 Located in the west end of the district, Station 1 protects the Manor Park section of Mastic with a rescue engine, aerial quint & a fire police unit. Station 1 formerly operated a 5 ton “stumpjumper” similar in appearance to the department’s other brush trucks. It was destroyed by a burn-over during a large wildland incident in early 2012. 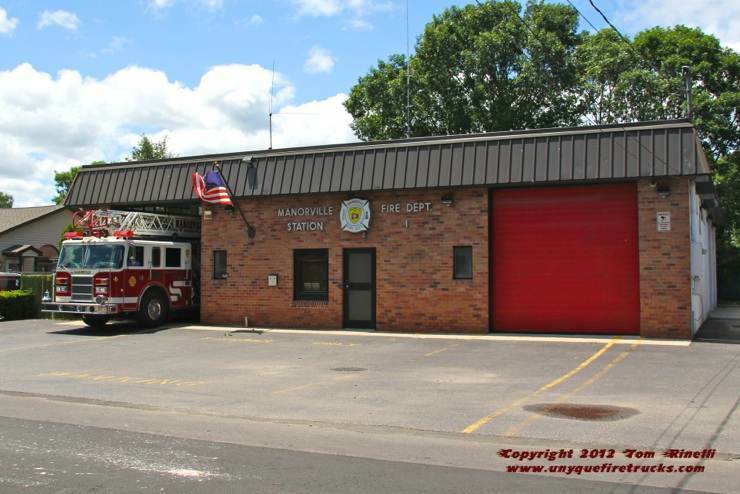 Due to the high volume of wildland incidents Manorville responds to, it is due to be replaced in the near future.